Megger cable fault location solutions include : low voltage TDR underground cable fault locators, surge generator fault locators, cable fault pinpointing, high voltage DC test sets and high voltage (11kV-33kV-66kV-132kV) underground cable fault locators. Specifically designed for high voltage power and utility contractors Megger MPP1000 pinpoints faults in shielded and direct buried primary cables via a single or dual probe. 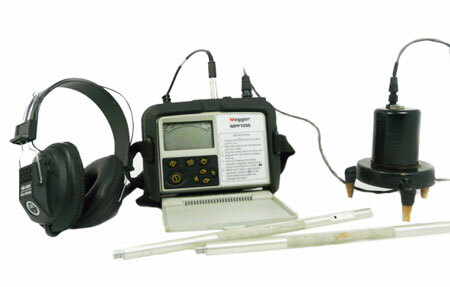 Megger MPP1000 stand-alone unit (without probes) measures electromagnetic surge and supplies the amplitude of that surge which aids in finding the cable fault. Overall the versions can successfully detect both the electromagnetic and acoustic pulses emitted from an arcing fault when it is surged. 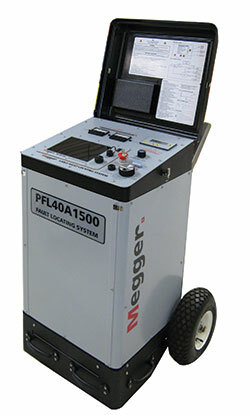 The new PFL40A family of compact Megger cable fault locating systems offer the facility to undertake cable testing, cable and fault diagnosis, prelocation of cable faults, fault conditioning and pinpoint location using acoustic methods. Megger Impulse Generators are designed to locate faults in power cables by the high voltage impulse method, in which a high voltage impulse is transmitted down the cable to cause the fault to arc. 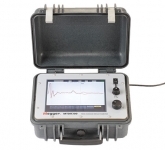 The arcing fault is then pinpointed using an appropriate impulse detector. Impulse Generators may also be used to perform voltage versus time acceptance tests and to burn faults that fail to break down under impulse to reduce their resistance. 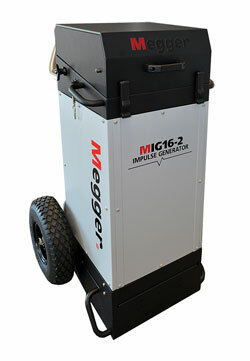 Megger offers four models to meet every application - available in Portable, Dual Voltage and Heavy Duty models.